Bar and Grill Virginia Beach: Come for Valentine’s Day! Hello, and happy Valentine’s Day from the staff at FIREBREW Bar & Grill! When it comes to finding a bar and grill in Virginia Beach that is worth returning to again and again, nothing can quite beat our restaurant. We pride ourselves on our open kitchen concept with our kitchen right in the center of the restaurant, so you can watch your food being prepared. We also don’t use any microwaves or fryers, so you can be sure that your food is freshly prepared over our 600+ degree open flame Fire Deck oven and our grill/oven range. This Valentine’s Day, we are offering a 2-person meal special for you and your loved one to enjoy. For just $49.95, you can enjoy our dinner for two! This three-course meal includes everything you need to have one of the best meals of your life. For the first course, both of you will receive your choice of soup or salad, including our garden salad, our Caesar salad, the soup of the day, or our she crab soup cup. For those of you who need gluten-free options, both of our salads will meet your needs. (Please request no croutons with the Caesar salad if you desire a gluten-free option). Even if you want the soup and your significant other wants the salad, you are free to choose whatever you prefer most. 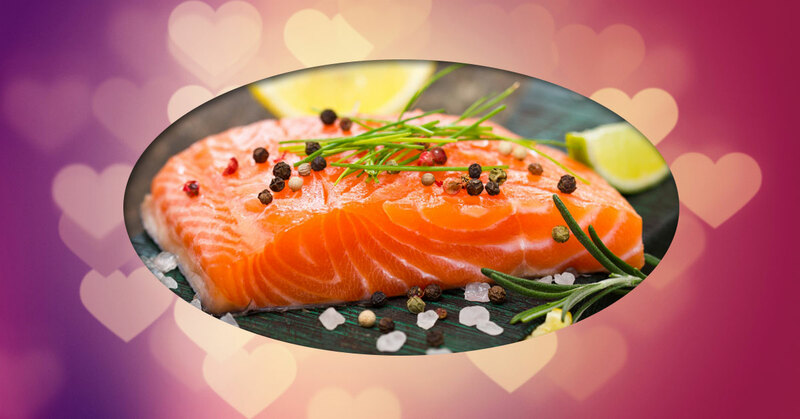 Romantic Salmon Roulade: Nothing quite says “incredible seafood” like fresh, 8 oz Atlantic farm-raised salmon! We stuff this dish with spinach, mushrooms, and parmesan cheese for just a little more flavor. Then, we top the dish with a lemon thyme butter sauce and serve it straight to you with our garden vegetable risotto. Sweetheart’s Flat Iron Steak: This steak is 8 oz. of certified Angus meat topped with sauteed onions, mushrooms, and a red wine sauce to tie the dish together. We serve you this delectable dish, cooked to your specifications, with garlic mashed potatoes and roasted vegetables. Porterhouse Pork Chop: If you feel like a pork chop is the way to go this Valentine’s Day, we couldn’t agree more! Try our grilled 12 oz. boneless Porterhouse pork chop that has been topped with a honey chipotle glaze that will keep your mouth watering for more. We serve you this dish with roasted potatoes and brussels sprouts. Cupid’s Chicken and Pasta: This traditional dish includes two grilled chicken breasts cooked to perfection and topped with mushrooms, tomatoes, asparagus, and white wine butter sauce – all on a bed of angel hair pasta. FIREBREW Crab Cakes: These crab cakes are 4 oz. apiece and are baked in our 600+ degree fire deck oven. Then, we top them with a wasabi mustard aioli. If that isn’t enough, we will present the crab cakes to you with a delicious side of garlic mashed potatoes and roasted asparagus. No Valentine’s Day dinner is complete without a decadent dessert! Regardless of what your sweet tooth tastes are, we know that you will find one of our desserts irresistible. Each of you will receive your choice of our angel food cake with a strawberry and blueberry spread, chocolate covered strawberries, vanilla bean creme brulee, or white chocolate raspberry cheesecake. Of course, you will both need a glass of wine with your meal to complete your experience. We at FIREBREW Bar & Grill are proud to be the first restaurant in the Hampton Roads, VA area to offer a self-service wine station. Pour your own wine and choose from our three pour levels, including Taste (1.5 oz. ), ½ Glass (3 oz. ), and Glass (6 oz.). Let us know what you prefer, and you can enjoy your wine at whatever level is best! Love is in the air, and delicious food is on the table. Come into FIREBREW Bar & Grill tonight for a romantic meal that will leave the two of you delighted and full. We are proud to offer unparalleled hospitality and food quality that goes above and beyond any other bar and grill in the Virginia Beach area. We can’t wait to treat you to an incredible meal that you two will never forget!